We tell our media training clients that there’s one thing more damaging than doing something wrong and that’s not fronting up and apologising for it immediately. Sadly, this is exactly what All Blacks management has done with the Andrew Hore incident during the weekend’s Test against Wales. Hore’s swinging arm at Bradley Davies was clearly unacceptable as the video reply never lies. While Hore has now expressed his regret more than four days after the event, from a media training perspective, this had to happen straight after the game. All Blacks management should also have condemned the incident. All the deafening silence has done is lower the reputation of the All Blacks on the world stage. We all like our World Cup winning All Blacks to be feared by opposing teams, but that means nothing if there’s no respect. All Blacks management’s failure to march Hore out after the game to apologise, and also play their part has done nothing for our national game. Clearly they kept quiet until Hore’s judiciary hearing because they didn’t want his suspension to be lengthened by admitting guilt. But by then the damage had already been done. People forgive mistakes, but only if those responsible for them front up immediately, apologise and say what they will do to stop it happening again. We emphasise this to our media training clients as much in sport as we do in business. There has been international condemnation of the Hore incident and management’s handling of the issue. This is not the first time this has happened either. Rather than censoring Hore and showing their own remorse, the management response was summed up by assistant coach Ian Foster the day before Hore’s punishment was dished out. He said: “It’s unfortunate that something’s happened and we’ll deal with it through the appropriate channels. Full-stop.” That’s hardly an acceptable response and would be a great example to our media training clients of what not to say. There was no admission of any guilt, no concern for the injured player, or indication of what management would do about the reputational damage to the All Black jersey. 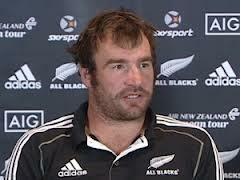 In Foster’s defense, head coach Steve Hansen should have been the media spokesperson on this. He has been extremely conspicuous by his absence.